Mamas & Papas is recalling the Armadillo flip stroller. The company said a loose latch on the stroller can cause the seat to tip back unexpectedly when an infant is in the parent-facing position, posing a fall hazard. This recall involves Mamas & Papas’ Armadillo Flip and Armadillo Flip XT strollers. All models are folding, single-occupant infant strollers. The strollers come in various colors, including black, teal, and navy, and weigh about 22 pounds. Recalled items can be identified by their lot number, which is the month and year of manufacture. 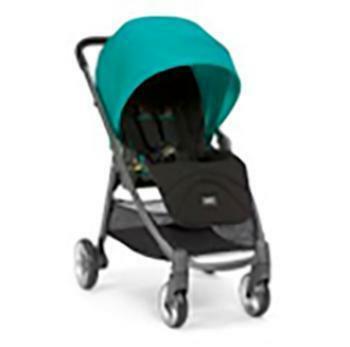 Lot number ranges for recalled Armadillo Flip strollers are 00814 through 00416 (August 2014 through April 2016). Lot number ranges for the Flip XT are 01214 through 00416 (December 2014 through April 2016). The lot number is printed on the sewn-in label on the stroller. There have been 10 reports of seats tipping back, but no injuries have been reported. Consumers should immediately stop using the strollers and contact Mamas & Papas for a free repair. The strollers were made in China and sold at Albee Baby, Babies ‘R’ Us, Buy Buy Baby, and other stores nationwide and online from December 2014 through July 2016 for between $500 and $550. For more information, contact Mamas & Papas at 800-309-6312 anytime or online at www.mamasandpapas.com/us and click on Recall Notice.